I replied, “only once in the past four years”. “I … uh … hit a grand slam”. Unfortunately for me, we had that discussion a month after my college career ended. Though, the advice did help me hit a few four-baggers over the years in semipro ball. I’m not sure where or when the thought of automatically taking on 3-0 entered my head. It may have been as early as little league, and simply stuck. What I can say for certain is that I can count on one hand the number of times I swung on 3-0 counts from age 10 through 22. And in retrospect, that was a bad approach. Now, I’m not suggesting that all players should always swing on 3-0. In fact, most hitters should take a pitch on 3-0 most of the time. But there are definitely situations where swinging on 3-0 makes sense. First, it must be an appropriate decision based on the game situation. Generally, you want to be already winning and looking to tack on runs. Though, if your team is either tied or behind by one or two runs, it might also make sense — IF there are runners on base AND you are a superior power hitter. Which leads us to the second factor: you must either be a fabulous hitter for average and/or a serious power hitter. And you must be honest with your self-evaluation; it’s one thing to think you are a power hitter, and it’s another to be a proven power hitter. If your slugging percentage is .475 or higher, then you can consider yourself a power hitter. If your batting average is .325 or higher, then you are a fabulous hitter for average. 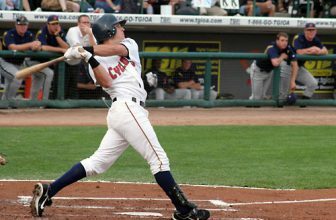 In some cases, it can make sense to swing away if you are “only” an above-average hitter, but generally, if you are swinging on 3-0, you better be an advanced hitter, and preferably someone who can drive the ball for extra bases. 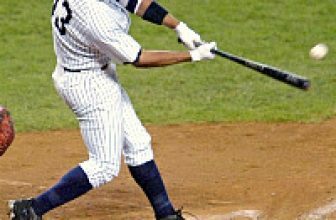 Third, you absolutely, positively, MUST get the pitch you want to hit, AND, you must get a good, fluid swing on the ball. Part of this is paying attention to the pitcher and seeing what his control is like, and what he does on 3-0 counts. If a pitcher is having a hard time getting the ball into the strike zone, even on 3-0, you might not want to be hacking. Though, it all depends on what area of the zone you hit best, and where the pitcher tends to be on that day. If he tends to be belt-high and outside, and that’s where you drive the ball, then zone for that spot and if you get it, hack away. At the same time, you must have the discipline to let a pitch go if it isn’t perfect, even if it may be a strike — because you still have two more chances. Also, take note of the speed of the pitches when the pitcher is behind. Many, many pitchers will lob in an easy four-seam fastball — some call it a “batting practice fastball” — on 3-0. It should be a very hittable pitch, but if you are, say, geared up for an 85-MPH fastball and the pitcher lobs one in at 75, you will be way ahead of it. At the same time, if you have seen the pitcher “aim” in a slow ball on 3-0 counts in the past, then you can sit back and wait on that same pitch again. Why do you swing on 3-0? Because very often, it can be as easy as swinging in batting practice. At least 90% of the time, you will get a meatball with which you can “tee off” and shoot into a gap or send over the fence. Your batting average on 3-0 should be well over .500, and you should consider swinging if you are a superior hitter and there are runners on base. 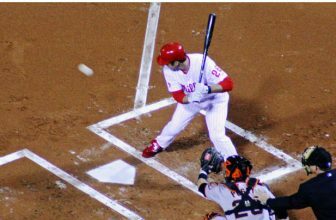 Gaining success swinging on 3-0 requires that you be an excellent hitter, the discipline to lay off what isn’t your pitch, a relaxed swing, and a situation that makes sense. It is an aggressive play, and some consider it risky, but rarely do big dividends result from low-risk plays. The bottom line is that you must be successful when you execute it, or you must be prepared to handle the criticism if you fail and have a good reason to make the attempt in the first place. I am not sure – the situation woul dictate and I guess if the pitcher is getting good calls – is he getting the corner of the plate etc. 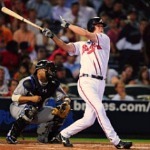 From the hitter POV – what type of hitter you want to be must come into it, you stated you didn’t hit that many homers, was that because you were concerned more with getting on base? What kind of hitter did you want to be?